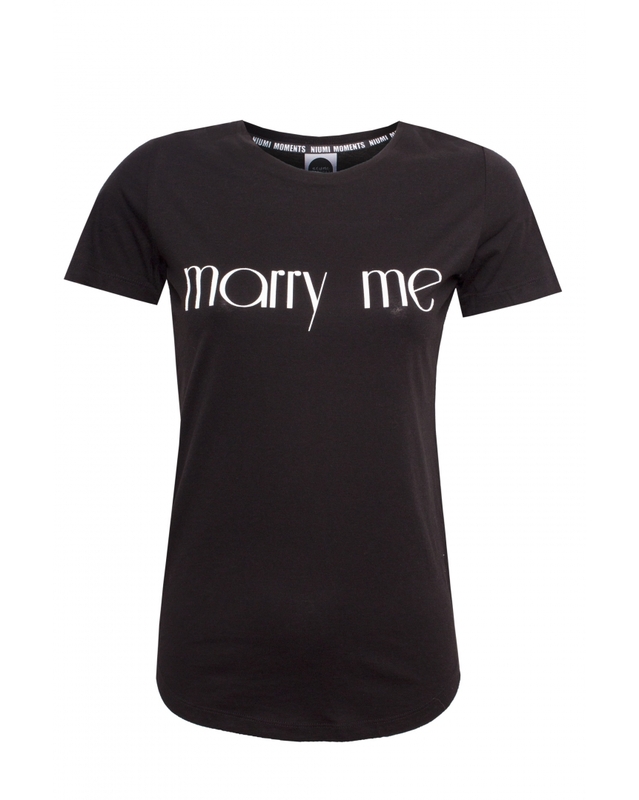 Black basic t-shirt with a white 'Merry Me' print on it. It is finished with trim and a special silver coin with an engraving. Material composition: 90% CO, 10% PES.